The Newedge CTA index ended the month Friday down -1.51%, taking significant losses in the final six trading days of the month. 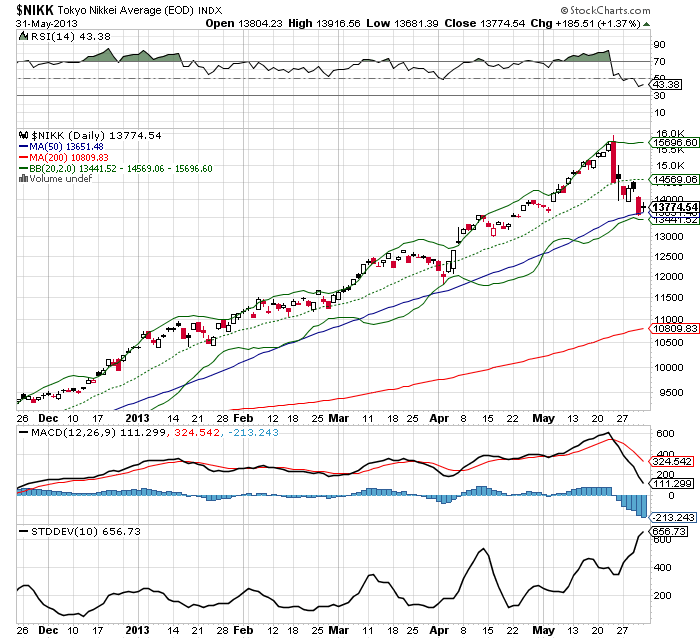 During these final days, the index was down -2.88% in six days of trading alone but is still up 2.78% on the year. The question is: should this come as a surprise? Plummeting equity markets in Asia, led by the stimulus driven Nikkei Average, led trend following programs to predictable losses. Predictable is an appropriate word because when markets exhibit a trend reversal it is logical to anticipate that trend following programs will experience a difficult market environment. 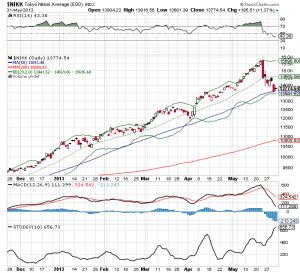 During the final six trading days of the month, the Nikkei and other heavily traded related indexes sold off after having been in an uptrend for most of 2013. Since the Newedge CTA index is constituted primarily by trend following programs, such as loss might be seen as anticipated to a degree. What’s interesting is to consider how the various trend followers handled the event. Many trend followers with a long term time horizons remain bullish and have suffered losses, as their algorithms are designed to stay in price movement until the trend is exhausted. Short and mid-term trend followers exited their programs to varying degrees of success. “On major trend follower recently installed a new director of research who eliminated all intraday stop orders,” noted a source with access to daily CTA performance. “This CTA experienced a difficult time during the Nikkei sell off.” It should be noted it is impossible if not unrealistic to expect a risk management algorithm to avoid all losses. The key is to understand how the risk management regime operates and set performance expectations accordingly. On a separate note, this same source noted that historical correlations and seasonal price patterns are not playing out with traditional accuracy, causing some relative value agricultural CTAs to experience difficulty in the current market environment.